Congratulations on the successful completion of the 4th outdoor development of Guilin Hongcheng, the founding of excellent teams to create a brilliant future! 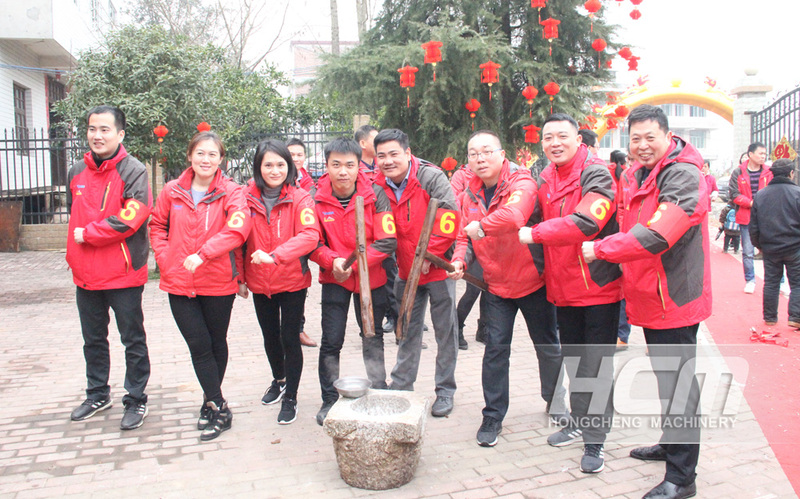 With the coming of the New Year, Guilin Hongcheng ushered in the fourth outdoor development activities in a beautiful day. 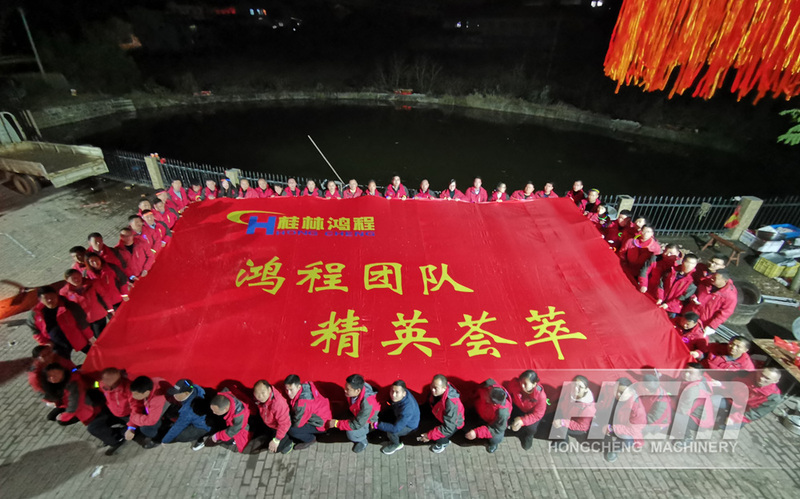 On January 25, 2019, sales elites gathered passionately in their hometown of Shaodong, Hunan Province, ready to start their annual outdoor development activities. Mr. Rong Beiguo, President of Guilin Hongcheng, Mr. Rong Dongguo, Executive Vice President, Mr. Rong Xinguo and Mr. Feng Kang, Executive Director and other senior leaders lead the sales elite team to integrate into each activity project. They work hand in hand to pursue their dreams, innovate and actively accomplish each task in the development game. With the good wishes of the New Year, the sales teams work together. This is a wonderful journey of expansion. It is understood that in order to stimulate the sales elite's high fighting spirit, stimulate the innovative potential of each member, rally the team spirit, and shape an excellent team that is united, helpful and grateful for the progress, this outreach activity has set up three outreach projects: Tide Rising and Falling, Innovation Without Limits and Flying Dream. Good effect of training will, cultivating sentiment, perfecting oneself and smelting team. In the new era of coexistence of opportunities and challenges, the dream-minded Hongcheng people must strengthen unity, unite with all one's will, fully tap the potential ability of members, mobilize the enthusiasm of each member, in order to meet greater challenges and create brilliant achievements. At the command of the host, we lined up in a neat line and carried out a unique morning meeting and training of Hongcheng. 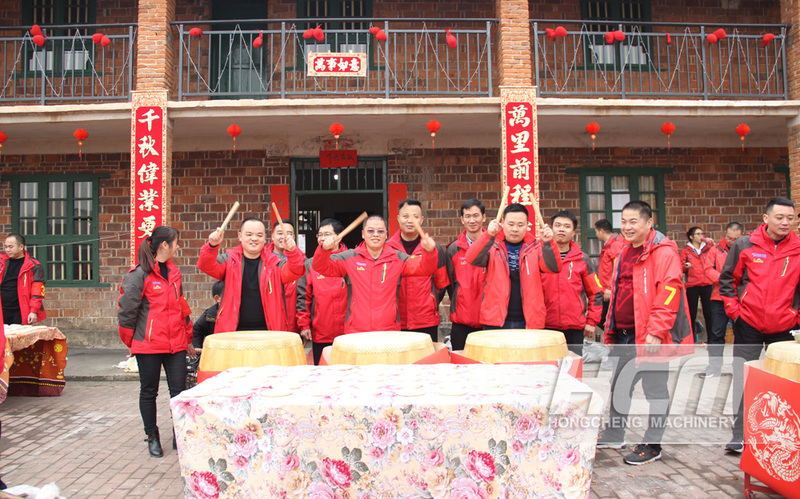 The loud vows and songs surrounded the sky, fully demonstrating the positive and vigorous spirit of Hongcheng team. As a pioneer, Rong Ping-xun, chairman of Guilin Hongcheng, delivered a speech at the event. Rong said that the outward bound activity is a very meaningful activity, which is of great benefit to enhance our team's spirit of unity and cooperation, striving for the first place and striving for progress. He hoped that every participant in the activity could make progress actively, exert their potential and be full of confidence and challenge. All tasks can submit a satisfactory answer to themselves successfully and brilliantly. After careful and thoughtful preparations such as incense burning, ancestor worship and morning exhibition, under the leadership of senior leaders such as Mr. Rong Beiguo, President of Guilin Hongcheng, Mr. Rong Dongguo, General Manager, Mr. Rong Xinguo, Executive Director, Mr. Feng Kang, and the whole team is divided into seven sub-teams. Each team will complete three expansion tasks within the prescribed time, and everyone is very happy to frisk. 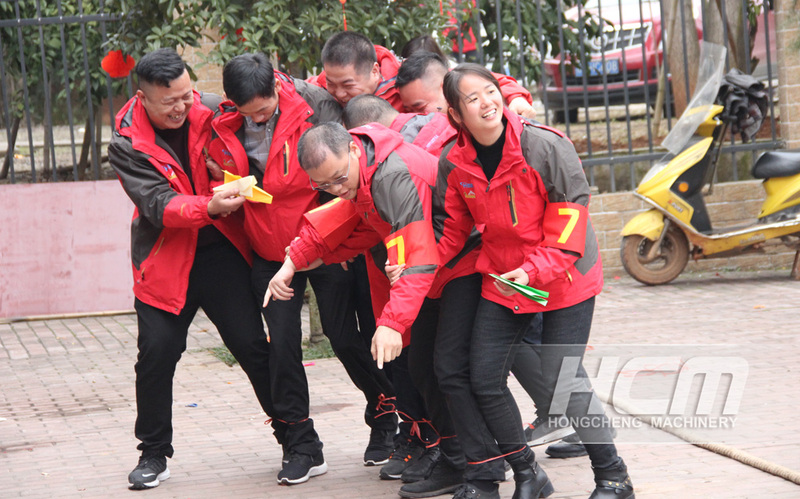 In a burst of shouts and applause, Guilin Hongcheng's 4th outdoor development activities officially started. Ciba: It's full of fun, and feels the coming of New Year. At the end of the year, the Spring Festival is getting closer and closer. In many childhood memories, Ciba is a kind of folk activity full of strong interest. It is not only a technical activity, but also a traditional folk activity full of human feelings, tastes and delicacies, requiring the team to give full play to the spirit of teamwork and mutual help. 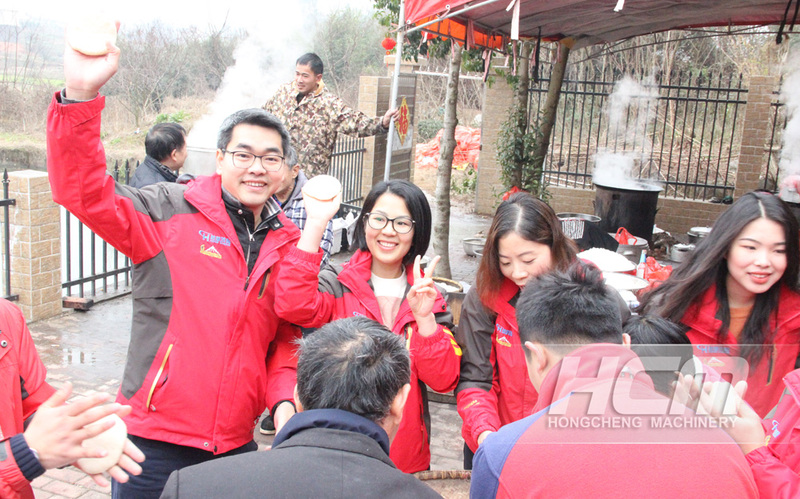 At the approaching of the Spring Festival, the Hongcheng family gathered together, baked rice, recalled the wonderful childhood time in the old house together, and continued this year's delicious feeling in the delicious ciba. Activity Essence: Hongcheng has been striving so far, which embodies the hard work of every Hongcheng family. Today, we are surrounded by eating, drinking and playing, chatting about our daily life, cousins and brothers, harmonious and quiet and feeling warm. In the great collective of Guilin Hongcheng, we are family members who are dear to each other. We work together to meet the storm and suffer together. Together, we experience the arduous journey in the process of struggle and enjoy warmth and sweetness in the fruits. In 2019, let's go forward together and create more brilliance! This activity pays attention to the strength of the team, but also pays attention to the spirit of cooperation and mutual assistance between the team and the individual. Nowadays, each individual is an important part of the team. We all rely on a stage together, trust each other, accumulate energy, stimulate potential, work hard together, forge ahead together, understand and accommodate each other, create achievements, and achieve our dreams. Activity Essence: Every excellent team must have goals, ideals, feelings, missions, discipline and sense of responsibility; every excellent member must have a sense of belonging, honor, dedication and overall awareness. In the fierce competition, Hongcheng people cherish each other, depend on each other, and work together on the grand stage to create miracles. Change and innovation are the driving force for development. Both individuals and teams need to have development thinking that keeps pace with the times. This project is to challenge the limits through solidarity and cooperation, allocate superior resources, actively innovate, strive to change, and create miracles. The essence of the activity: innovation is the driving force for promoting enterprise development and continuing to write a grand blueprint. It is also a powerful booster for enterprises to meet market opportunities. Hongcheng team has the professional spirit and quality of hard work, advancing with the times, reforming and innovating. In the new era of development, Guilin Hongcheng will rely on the power of innovation to meet market challenges and build a sustainable development path. Dreams, regardless of age, regardless of the type of work, regardless of the team, stationed in the hearts of everyone; goals, is a booster that makes people progressive, urging people to advance, this activity has an extraordinary meaning, will fight for their own Goals and dreams, loaded on paper planes, everyone will fly their dreams together on the platform. From then on, we will face the challenges and opportunities with our goals and dreams in mind, and live up to the times! The essence of the activity: there are goals, there is motivation; there are dreams, there is hope. Even if there is no smooth sailing, even if the difficulties are heavy, Hong Cheng people will still face difficulties and strive for progress! This is a thriving and energetic development team. In the process of realizing your dreams, every Hongcheng people has dreams, down-to-earth, continuous learning, continuous innovation, continuous dedication, and continuous transcendence, and firmly contribute to the greatness of a global brand for China. Determination and vision, in the new era of development, create greater glories; write a new chapter in grand development. In the process of hard work, every person who is brave enough to go forward in the tide of the times, bravely do their own, they sweat, meet the storm, withstand setbacks, continue to grow and develop, have achieved a brilliant development performance, become a living of their own style, to achieve personal dreams, to create a miracle of life in China. Let us sing the future in the song, and work together to create a heroic spirit under the shining light, and inherit the heroic spirit of the Chinese who are not afraid of hardships and bravely, and create greater glory! The essence of the activity: During development, we have tears and laughter; we are sad, we have a desire; there is pain, there is more hope, the team has experienced wind and rain, suffered setbacks, challenged difficulties, and created brilliant achievements. Every Hongcheng is full of ambitions. They bravely shoulder the heavy responsibility of contributing a global brand to China, and they are determined to move forward. In 2019, the dream has been opened. I hope that we can set sail and set sail together to create a more brilliant tomorrow! Bonfire, fireworks are in full bloom: thanks to all of you! When the lights on, when the bonfire ignited, everyone gathered together to sing and dance, share joy, sum up, inductive, and grateful. When the night falls, the blossoming fireworks bloom in the night sky, and it bursts in the blink of an eye. It shines brilliantly. Tonight, it is a wonderful night, a warm bonfire, and a splendid fireworks symbolizing 2019, the performance will be flourishing, Guilin Hongcheng will be as dazzling as these brilliant fireworks, and the future is bright! Tonight's gathering warms up every man who has experienced the storm! In singing and dancing, we are accompanied by laughter and tears to sing each other's hearts; in the singing, we are grateful for the difficulties and challenges. In sharing our feelings, we join hands with failure and success, dreaming and thinking about the future! Simply complete the form below, click submit, you will get the price list and a Hongcheng representative will contact you within one business day. Please also feel free to contact us by email or phone. ( * Denotes a required field). Tel: +86-0773-3568321 |FAX: +86-0773-3568987 | E-mail: mkt@hcmilling.com | After-Sales-Service:+86-400-677-6963.